What is Weber’s On The Grill? It also includes useful tools like the grill timer, over 100 grilling tips, the capability to tag and share favorites and instructions for grilling different food. 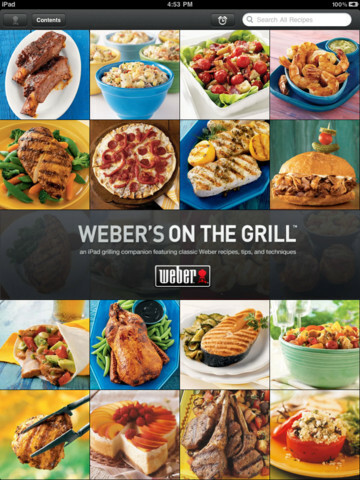 Additionally it includes over 300 recipes from Weber’s Art of the Grill™, Weber’s Big Book of Grilling™, Weber’s Charcoal Grilling™, and Weber’s Real Grilling™ cookbooks. This is a great app if you love grilling or just want to get into it. It is very easy to navigate and use and follow their detailed instructions. However, the downfall of a $4.99 price tag is unfortunate. Although with everything you get from the app it is still worth it. I would recommend purchasing it only for iPads/Tablets as that is what it is made for mostly. A great app for the summer, right around the corner.